The original (and elder) member of the group of students, Kevin Hawkins, class of 1978, brought the Wofford Witch back to life as a Christmas surprise in 2002 for the old group and Dr. Olds. Kevin had been working secretly on this project off and on since 2001. During a visit to the United States (Kevin had moved to Europe in the 1990s), Kevin kept asking Ashley for copies of the old system programs from the old Wofford Witch. Kevin also wanted to borrow Ashley's old "Book of Privilege", which contained nearly all the programs on the old Witch system. Ashley became suspicious and asked Kevin if he had bought a PDP-11. Kevin eventually told Ashley about the simulator he had discovered. After that, Kevin and Ashley worked together over the next year to reproduce the Wofford Witch environment. 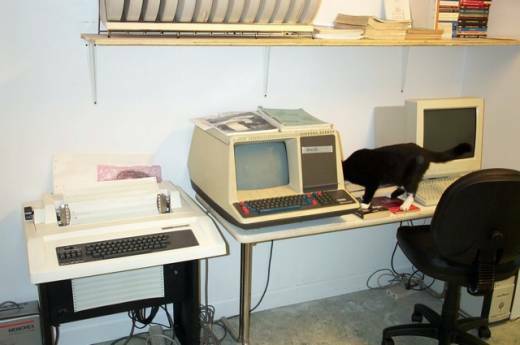 The "reincarnated" Wofford Witch is implemented using Bob Supnik's SIMH computer simulator. The software can emulate a variety of hardware. The Witch uses the PDP11 simulator with Thord Nilson's DZ-11 8 line terminal multiplexor simulation providing the telnet capability. The software has been modified to include some Witch messages. RSTS/E is Version 7 licensed by Mentec for hobbyist use. The Witch was generated from the original system generation disk images to provide an environment as close as possible to the original Witch. 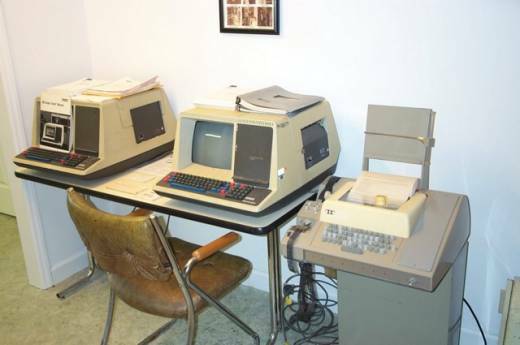 Wofford customizations were made to the generated system based on program listings, SYSTAT listings, and CTL file listings that were done in 1978 and are now in Ashley Carder's collection. The Witch configuration contains four RK05 disks. DK0:SYSTEM and DK1:OVRFLO provide the public structure SY:. This holds all user accounts. DK2: contains the library accounts GAME:, SOC:, MISC: and CS:. DK3:FIXED contains the library accounts STAT:, ECO:, MATH: and SCI:. (Kevin's note: the above was the intention, but actually the configuration contains three RK05 disks: DK1:, DK2, and DK3:. Instead of DK0: we have DL0:, which is an RL01 cartridge drive. This drive has more space than an RK05 and made it easier to do the SYSGEN of RSTS 7 without running out of space). KB0: is the system console. There are two pseudokeyboards, PK1: and PK2:. KB3: through KB10: are DZ-11 telnet modem lines emulating VT-100 terminals. There is no support in RSTS 7 for CM0:. The whole thing initially ran on a Pentium III 550 under Red Hat Linux 7.1 in Kevin's computer room in Amsterdam. The Witch on this computer was shut down in June of 2003. In January 2004, Kevin sent Ashley a CD with the disk images and it is now running on a 400 mHz Pentium II Windows 2000 Server in a downstairs closet at Michael's house. During the spring and summer of 2004, I (Ashley) decided to pursue an idea that Dr. Olds mentioned during a conversation about bringing the Witch back to life. 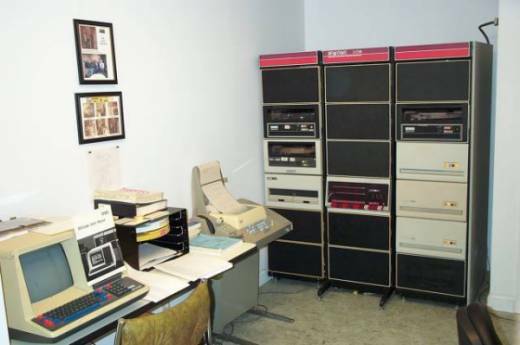 Why not try to locate a genuine PDP-11/40 computer and see if we could not only reproduce the software environment, but the hardware environment as well. After much searching, I quickly figured out that a PDP-11/40 was not an easy thing to locate. It seems that there are probably somewhere around 10 intact PDP-11/40 systems documented on the internet in private collections. Only a few of these systems were said to be in working order. Nobody was willing to part with their 11/40 systems. 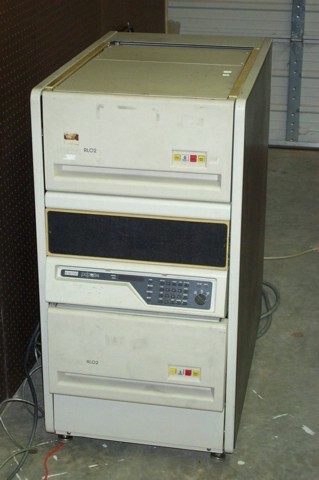 In late May 2004, I did manage to get a PDP-11/34 and transferred the system from the simh disk images to actual RL02 disk packs. 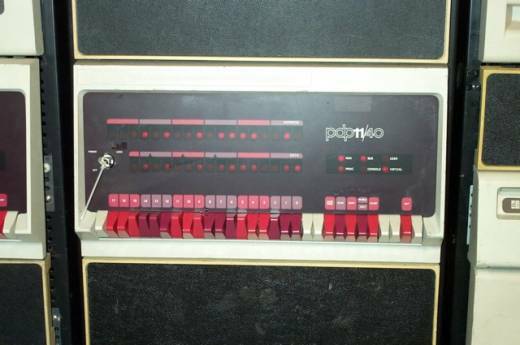 Below is the PDP-11/34 that I obtained in June. This system came with two RL02 drives. As part of the project, I needed to have a nice place to set up the reincarnated Wofford Witch, so I expanded the heated/cooled area of my shop by framing in an area approximately 12 feet x 10 feet. I finished it off with sheetrock walls and ceiling, and I added a 30 amp 120v circuit to be able to run the larger equipment. 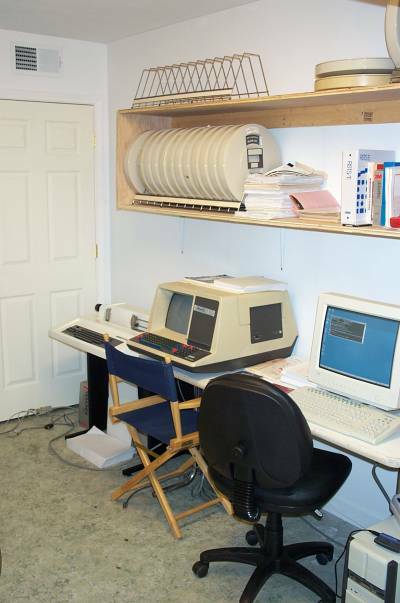 Over the next few months, the search yielded several VT52 DecScopes, an LA36 DecWriter, and an ASR-33 teletype. Also needed was a DZ11 multplexer so that multiple terminals could be connected to the PDP-11 and could function in a timesharing environment. In September 2004, an RS232 style DZ11 was connected to the 11/34 and the terminals were connected. Ashley, Michael, and Mark tested out the system using the VT52 DecScopes and the LA36 DecWriter. Michael even modified a program that he had written in Dr. Olds' computer science class back in 1977/78. In late June, a DEC collector who had the parts to build a working 11/40 offered to build me a working 11/40. Persistence had finally paid off, and the 11/40 arrived on October 20th, 2004. One of the components in the MM11-UP core memory subsystem was faulty and had to be replaced, but otherwise the system worked fine. During the last week of October I hurt my back carrying heavy CPUs and disk drives. I was out of commision for the entire month of November. During the first week of December I added a 20mA DZ11 to the 11/34 so that I could connect the ASR-33 and test it. I also attached an RK05 that was said to be in working order. After swapping the M7254 card in the RK11-D controller, the RK05 drive was proven to be good. After successful testing, I decided that it was time to move the Wofford Witch from the 11/34 to the 11/40. 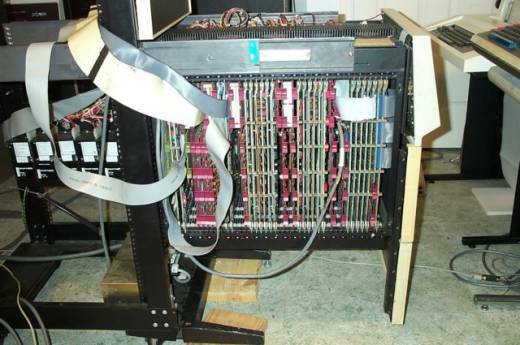 Above: The PDP-11/40 as it looked on December 4th when I had it open with cables dangling everywhere while I was installing and testing DZ11s, RK11s, etc. On the evening of December 4th, I hooked up the cables for the two DZ11s, the RK05 drive, and the RL02 drives. After doing some testing, everything seems to be in working order and the Witch RSTS/E system boots up perfectly. After proving that everything was working, I undid all the cables and tidied them up and ran them into the cable routing area of the 11/40 BA11 box. I then got them all hooked back up, ran some additional tests, and then closed up the 11/40 and rolled it back into its place by the other racks. The Wofford Witch now lives again on its original hardware! Above: The 11/40 front panel with blinking lights while it was running the reincarnated RSTS/E Wofford Witch system. On December 21, I decided to try to mount the old RK05 JEFF disk that we've been carrying around since 1979. This is the disk that has many of the programs that Ashley, Michael, Kevin, Worth, and Mark wrote while they were at Wofford, including Dr. Olds' computer science class assignments, games, and other stuff. When we last used it at Wofford in 1979, it seemed to be slightly warped and was getting read errors. Dr. Olds decided that he did not want to risk a head crash, so he told us it was warped and that he wouldn't mount it again. Michael carried it around for a number of years, and then passed it off to Ashley at some point in the mid 1980s. At one point Michael wanted to turn it into a clock. Back to the story.... I decided to try to mount it, but first I removed the platter and put it in a clean, unused RK05 case. Then I put it in an RK05 drive and set the LOAD/RUN button to RUN, which starts the drive turning. I had the cover off the top of the drive and I watched it spin up to speed. I could see a slight warp, but not the major warp that I saw the last time I tried to spin it up. I decided that it was safe enough to give it a try, so I then went to one of my terminals, booted up the RSTS/E Wofford Witch system, logged on, and typed MOUNT DK1:JEFF. The system paused just a moment and then returned the READY prompt. I nearly fell out of my seat. It had mounted the long-lost disk pack. I typed DIR DK1:(*,*)*. * and it gave me the full directory of the pack. I could not believe my eyes. It was such an eerie feeling. I sat there startled, smiling, not believing that this disk pack that had held our programs captive for over 25 years was finally mounted again. For the next several hours, I copied off all the data from the disk. It was still a little "flaky", as it had been 25 years ago, and still got some read errors, but by swapping it between the three RK05 drives, I was able to recover all the data. This was very exciting. I've used VTServer to download the programs to a disk image on my PC. Another computer collector who runs a computer museum and organizes a yearly Vintage Computer Festival has offered to let me use his HP7200A plotter for a number of months so that we can connect it up to the Witch and try out the original kind of plotter that was used at Wofford in the 1970s. I will have to hook that one up as KB7: so it will match the original configuration. Updates will be posted as they occur.